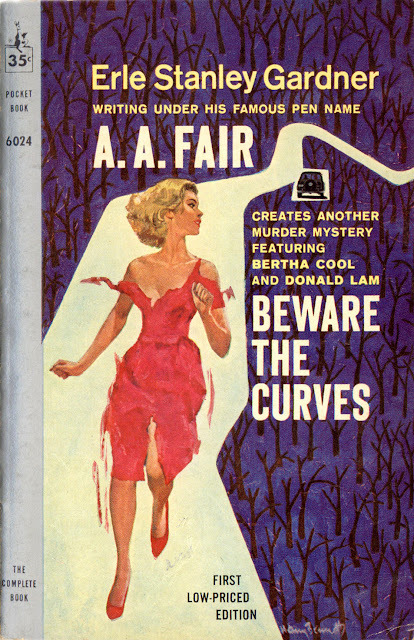 Beware the Curves (Pocket, 1960), by A.A. Fair, aka Erle Stanley Gardner; and The Savage, by Noel Clad (Permabooks, 1959). Artwork on both novels created by Harry Bennett. The paintings he produced for U.S. publishers ranging from Permabooks and Pocket to Gold Medal and Berkley could be seductive or shocking, ominous or humorous, but they were rarely less than outstanding. During a more than three-decades-long freelance career, Bennett—who passed away just over five years ago, at age 93—created the anterior imagery for everything from detective novels and Gothic romances to Hitchcockian thrillers and tales about amorous young nurses. “Literally millions of people have seen hundreds of paintings by Harry Bennett, but few would know his name,” writes a blogger who calls himself NatureGeezer and lives in Ridgefield, the historic western Connecticut town where Bennett also resided for most of his life. 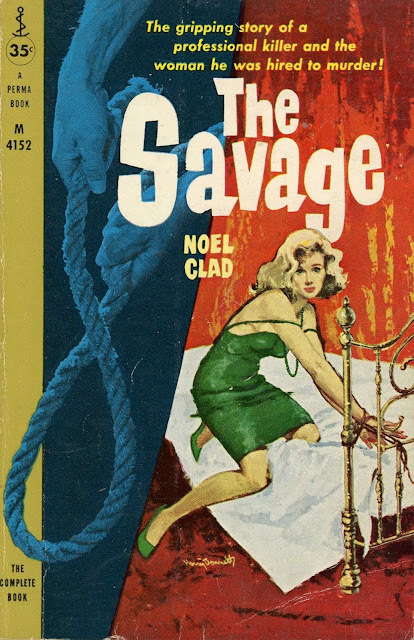 Along with artists such as Robert McGinnis, Mitchell Hooks, Paul Rader, Harry Schaare, Ernest Chiriacka, and Victor Kalin, Bennett made 20th-century paperbacks worth collecting simply for their covers. Today, Killer Covers celebrates the fourth day of its Bennett tribute by posting a scan of the 1963 Pocket Books edition of Erle Stanley Gardner’s This Is Murder, a book the prolific Gardner originally published in 1935 under the pseudonym Charles J. Kenney. You can keep up with the full series by clicking here.